Using language to express their needs. Children at this age have an ever-expanding vocabulary, and they need encouragement and practice to use the words they are learning. Pretend play provides ample opportunity for children to begin learning the all-important negotiating skills. Building attention span by introducing to new concepts in a small group circle. Opportunities to play with their expanding skill set: building, painting, sorting, matching and exploring new materials in many open-ended activities. 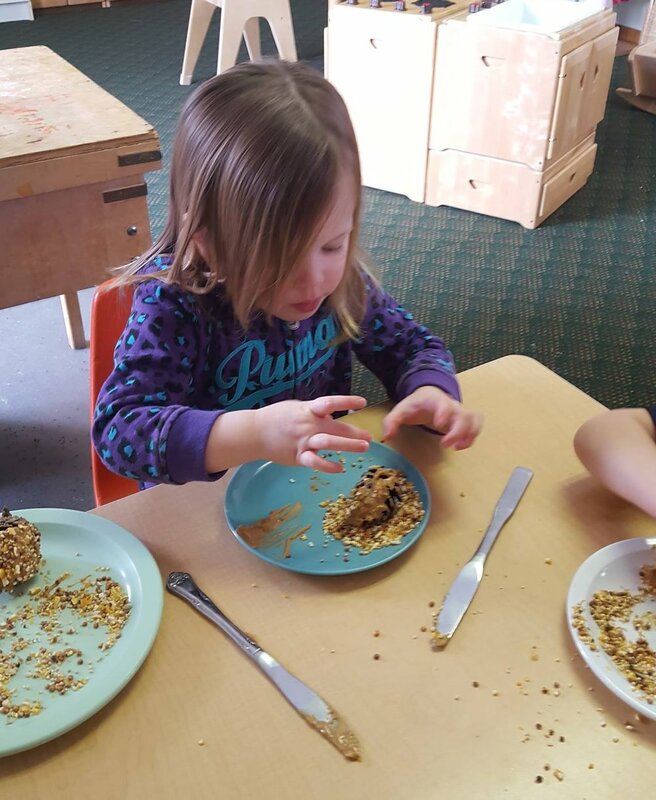 Continuing their journey to become more self-sufficient; using the bathroom independently, getting dressed for outside play, taking care of their possessions, and cleaning up after themselves, as well as the ability to follow directions. Learning to develop problem-solving skills as a method to handle conflict. 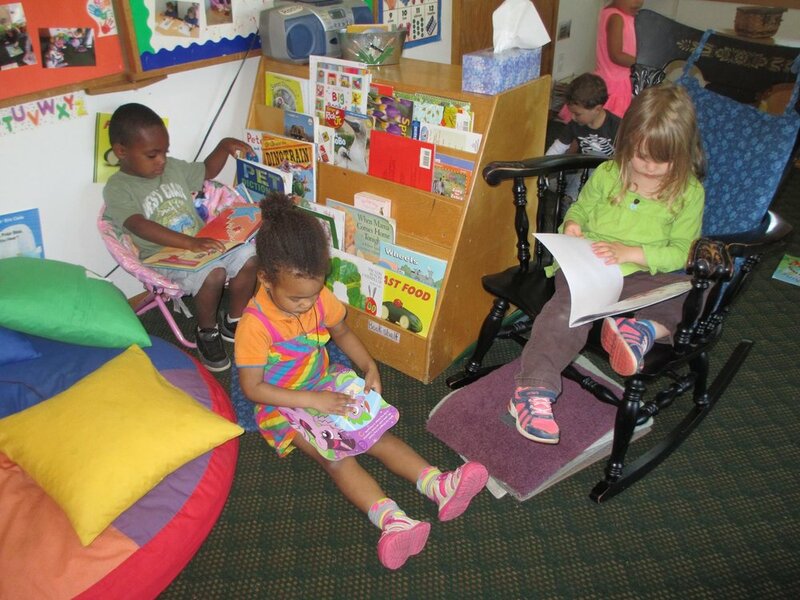 Kids explore books using imaginations and memories to create their own stories. Practicing fine motor skills and following directions to create pinecone bird feeders. Free play encouraging cooperation and creativity. Older students serve as role models showing off their reading skills.